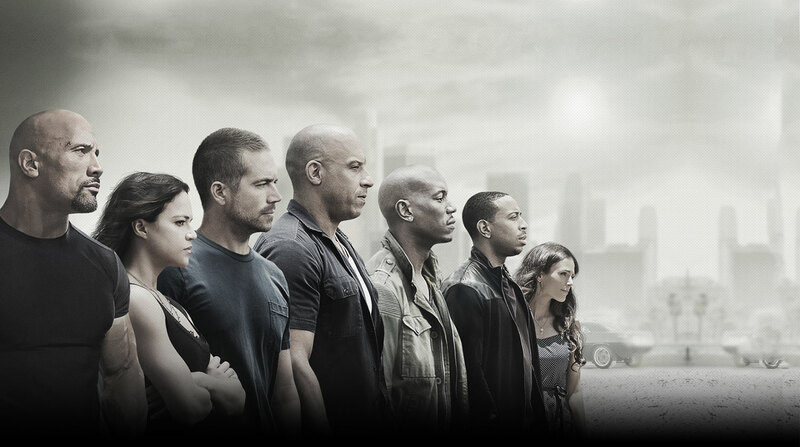 Furious 7 Cast. . HD Wallpaper and background images in the Fast and Furious club tagged: photo fast and furious 7 furious 7 2015 promotional poster luke hobbs letty ortiz brian o'conner dom toretto roman pearce tej parker mia toretto. This Fast and Furious photo contains business suit. There might also be well dressed person, suit, pants suit, and pantsuit.